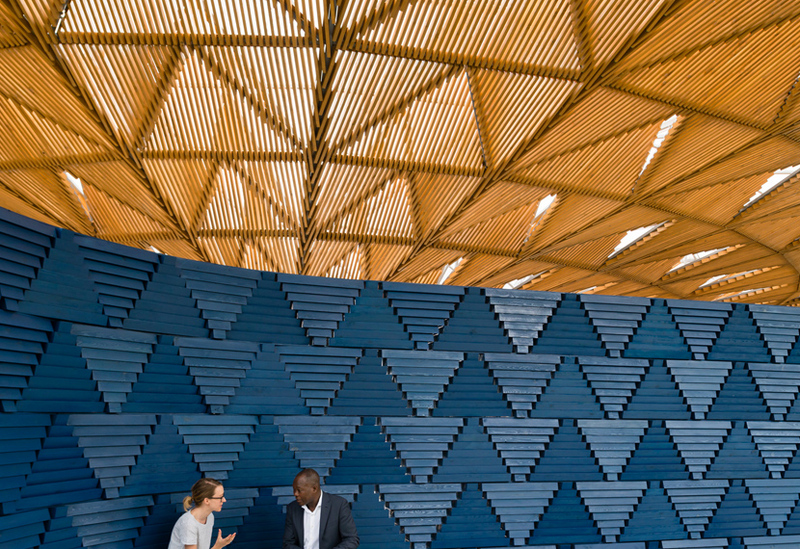 Inspired by the large canopy of a tree, Kéré’s pavilion rests on fourteen legs, an oval canopy of cantilevered steel rising and spreading outwards. 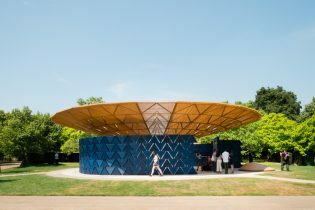 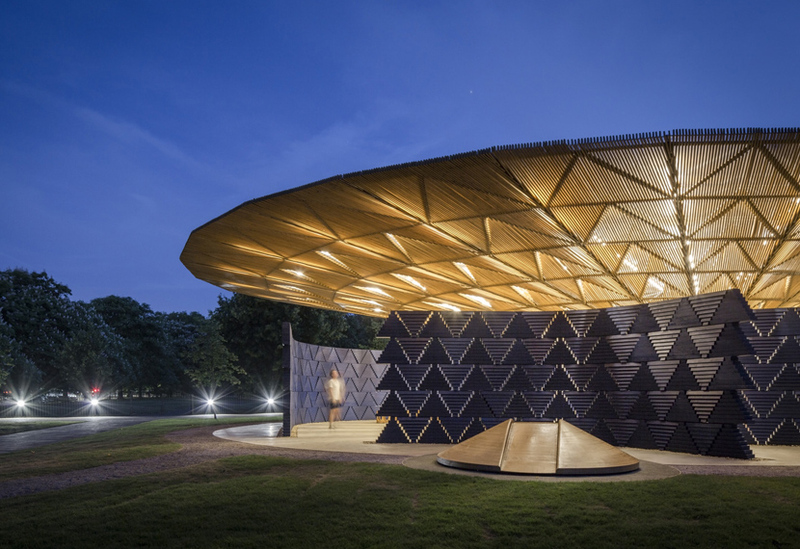 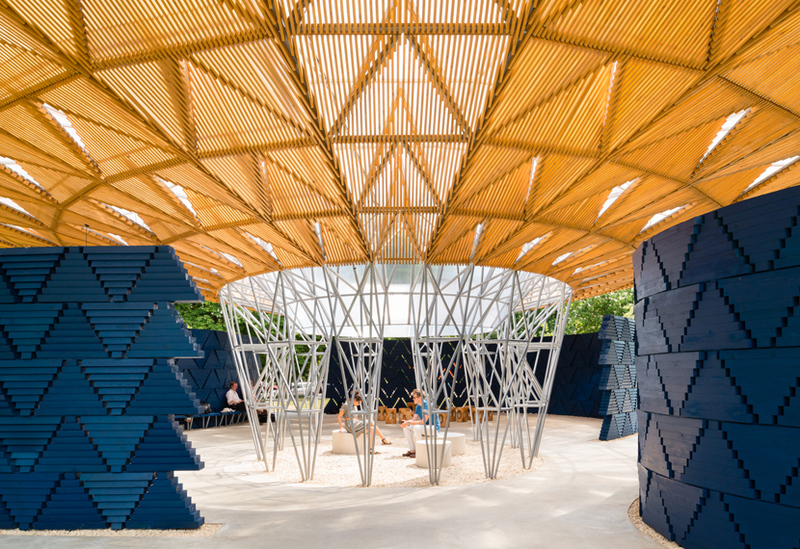 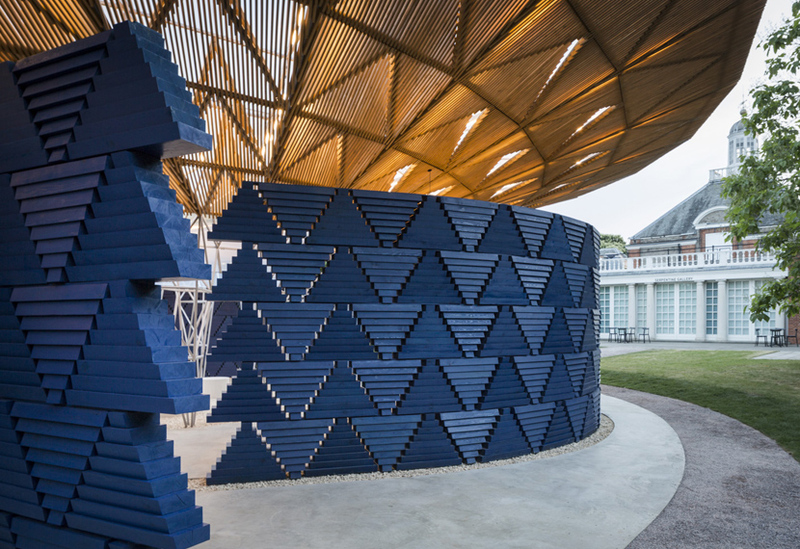 Roof panels of slatted wood cast shade and a series of curved wall sections provide shelter but offer glimpses of sky and the park beyond. 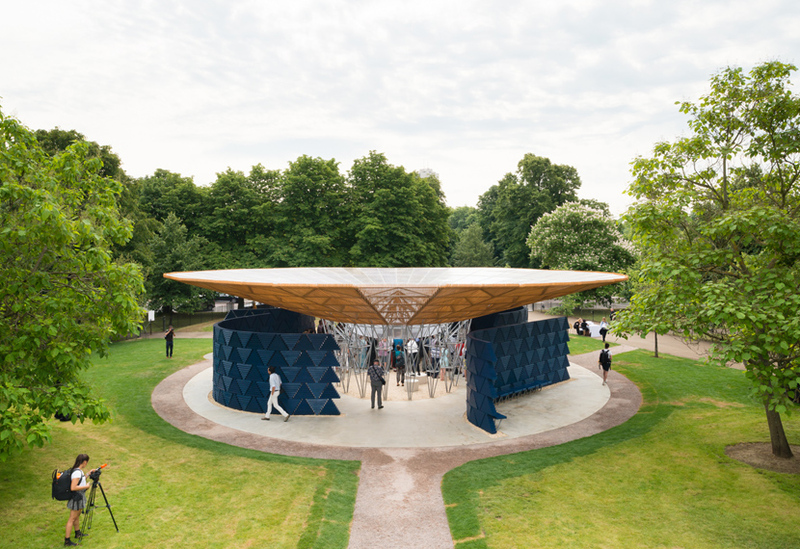 This is the 9th year we have manufactured and installed the pavilion. 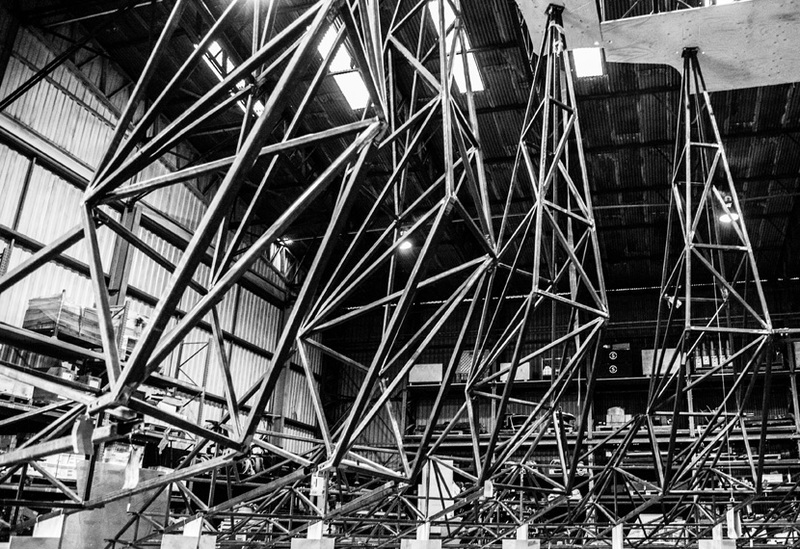 The steel canopy was an intricate arrangement of 14 legs arranged around a central oculus, with 14 corresponding truss arms. 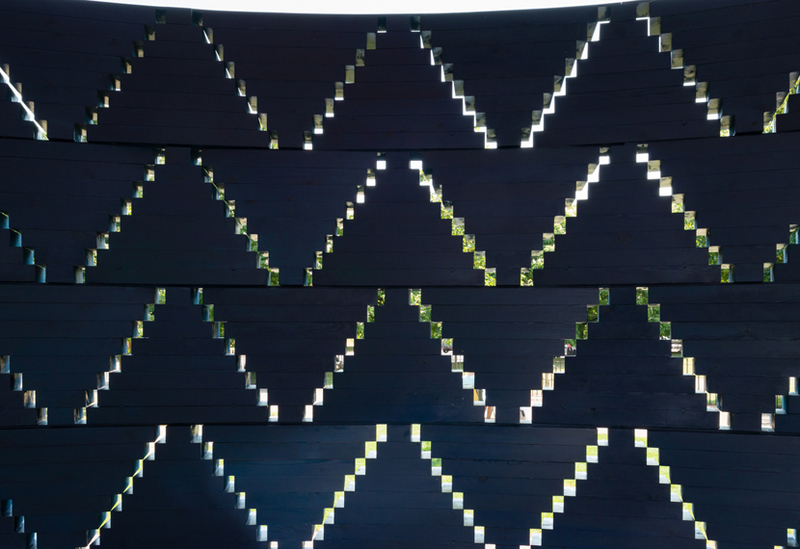 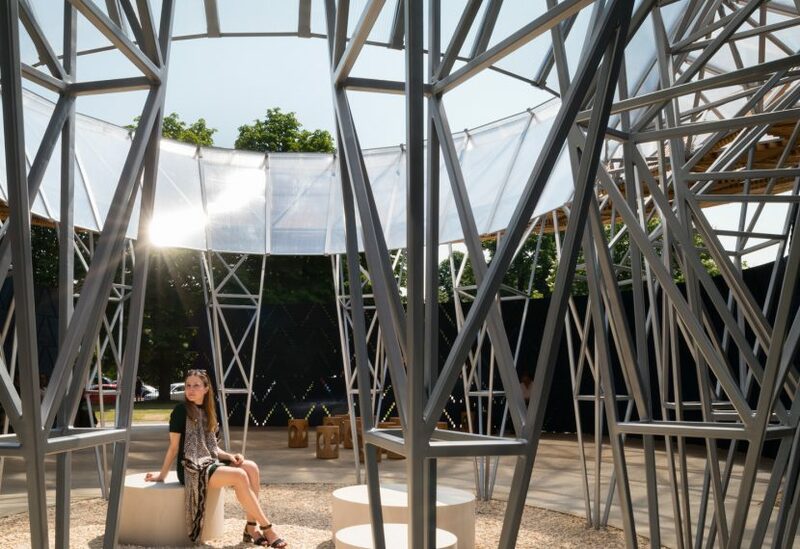 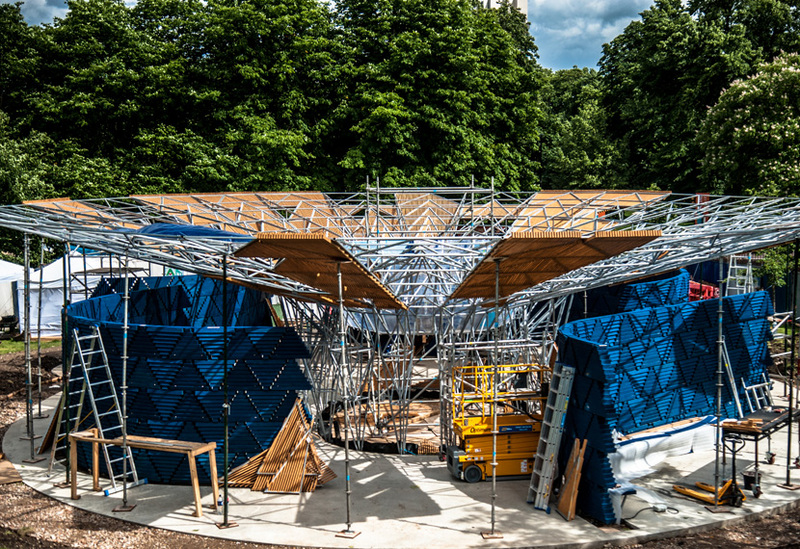 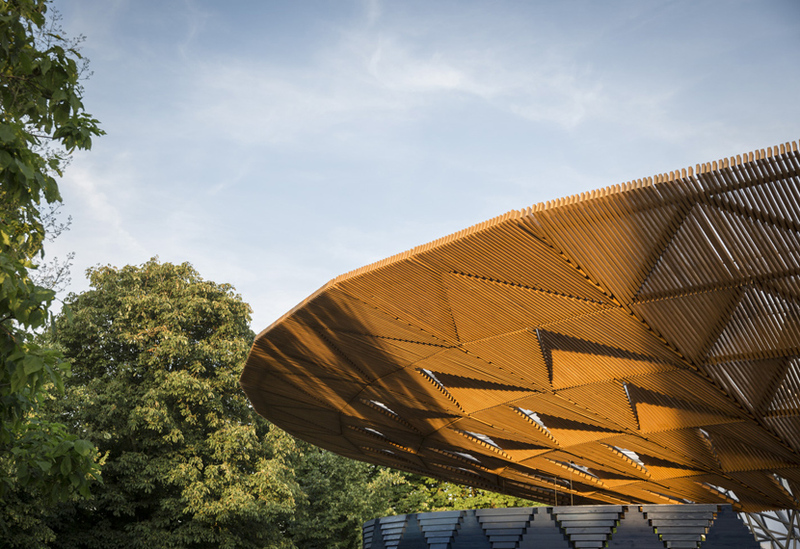 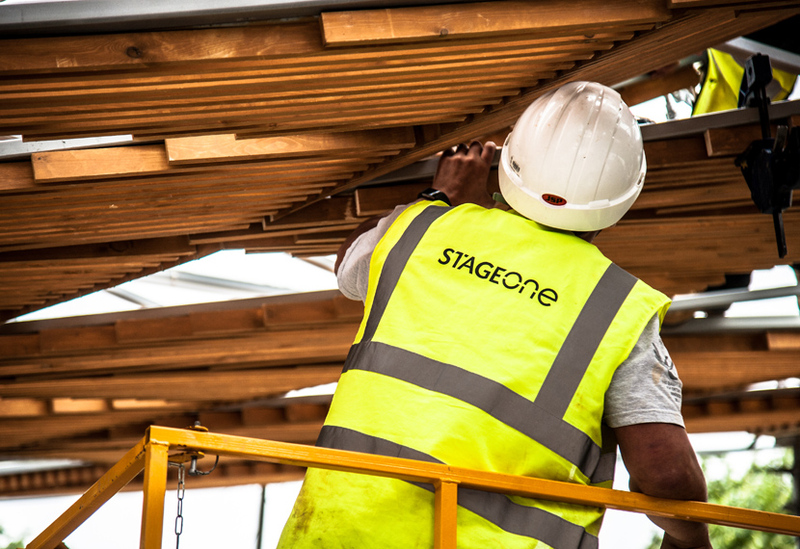 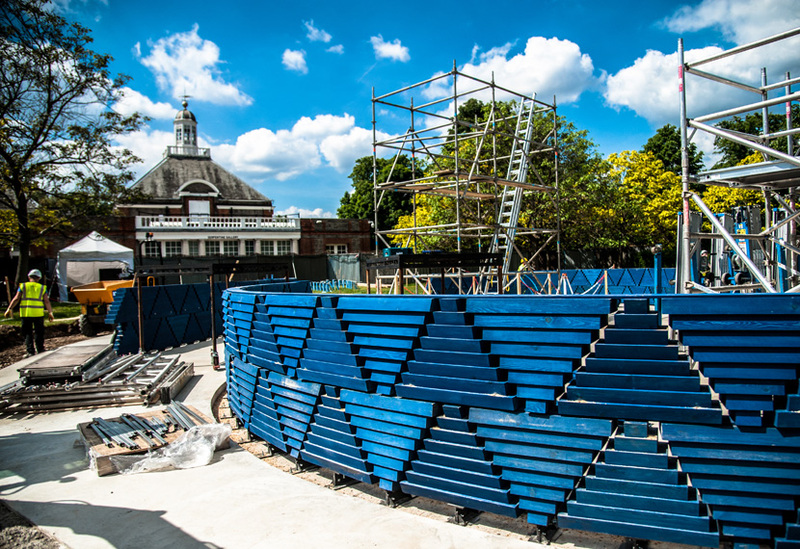 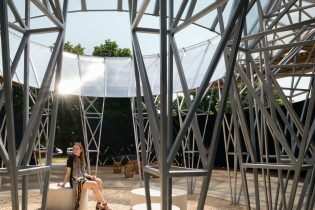 A series of 420 bespoke triangular panels formed the under-canopy, the steel frame of each lined with laser cut holes to allow the wooden slats to be fitted in a precise alignment, achieving continuous lines radiating from the centre through to the canopy’s outer edge. 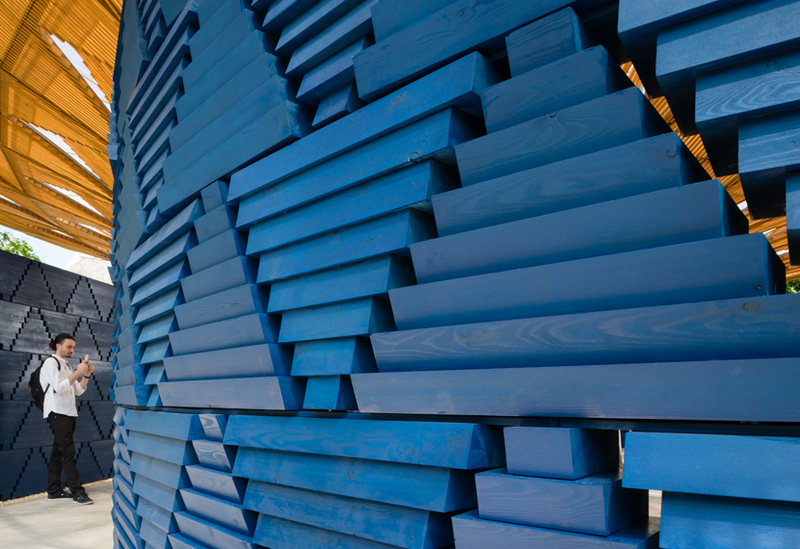 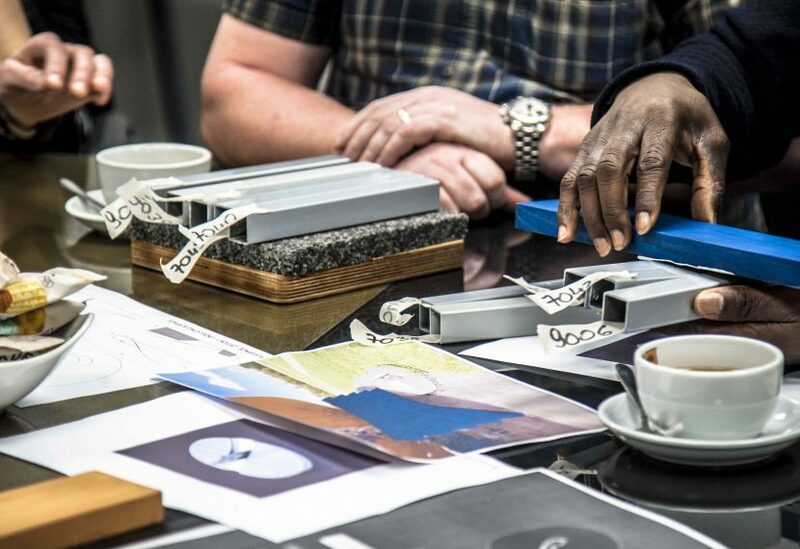 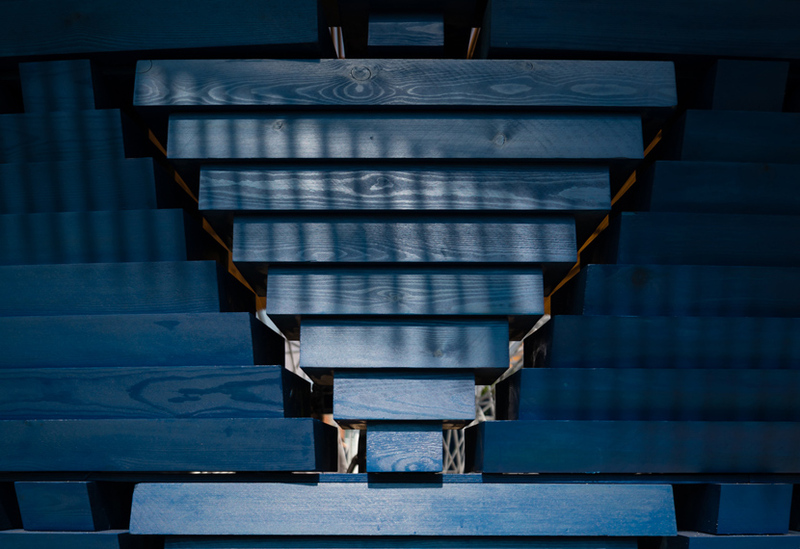 The striking blue walls comprise 528 triangular timber modules, the front of each chamfered to an angle of either 10°, 15° or 20°, creating added interest in the changing light.